Since its launch in the Spring of 2013, our Soup and Chat has been well attended each Wednesday. 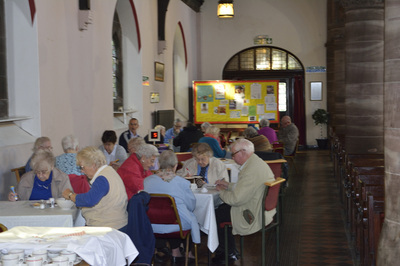 Everyone is made to feel welcome and all enjoy the afternoon having lunch followed by bingo. We had help with our initial outlay, being funded by the Community First programme and continue to be supported by our local Asda store. We hope again this year to be having Christmas lunch out with our regulars. 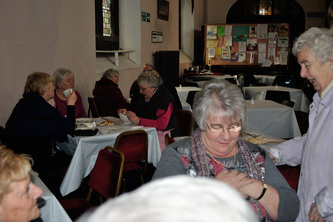 All this would of not taken place without the help received each week by a group of volunteers from the church, who work tirelessly and cheerfully each week. 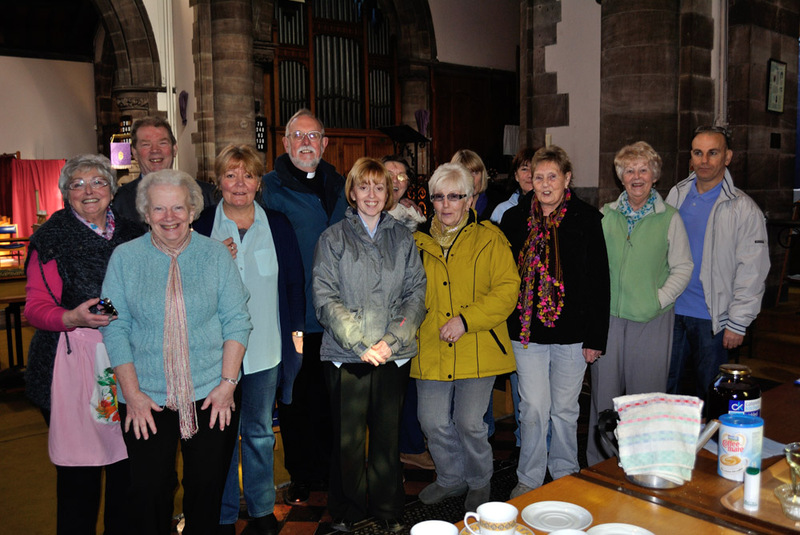 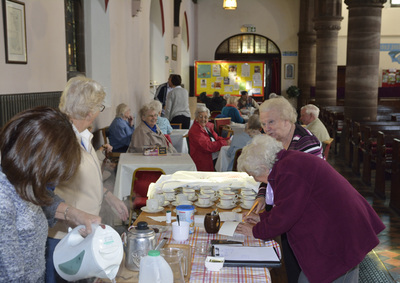 Wednesday 13th March saw the launch of our soup and chat held in St John's church. The Community Development Foundation funded the initial outlay of the project and we'd like to say thank-you to our 2 local councillors Maria McEvoy and Richard McLinden who have supported us from its conception and attended our launch, bringing a hamper for us to raffle. 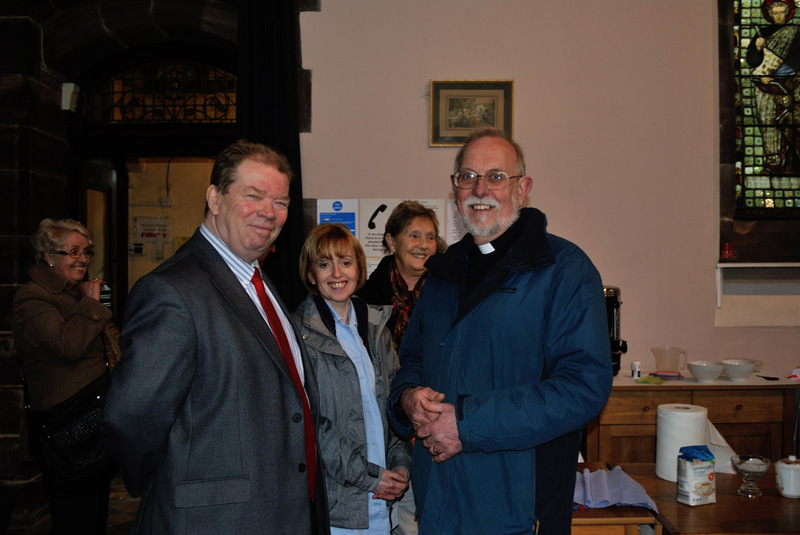 A thank-you also to Ann O'Byrne who unfortunately couldn't make it this week but has fully supported the venture from the beginning. 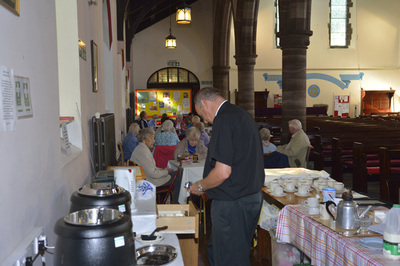 Thanks also to our Vicar Revd. 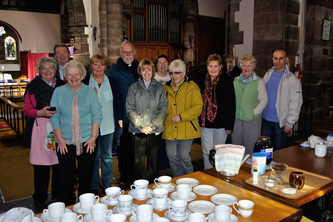 Stephen Williams and his wife Barbara and all the volunteers who helped make the day such a great success. 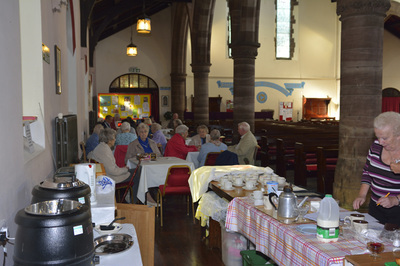 Soup and chat will be held in church each Wednesday from 12noon.